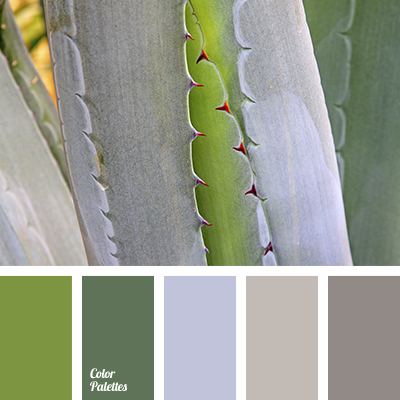 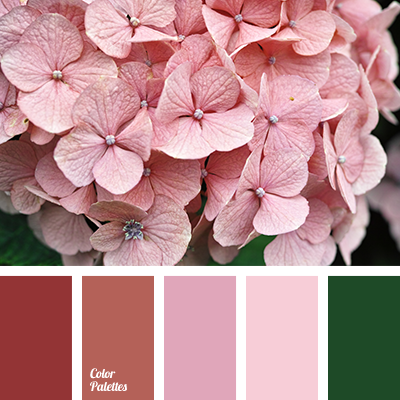 A range of pink shades complemented with violet and green. 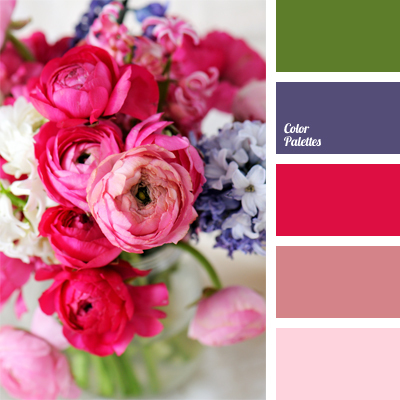 This colorful solution is well-suited for wedding decoration such as decoration of premises with natural and artificial flowers, as well as festive table decoration. 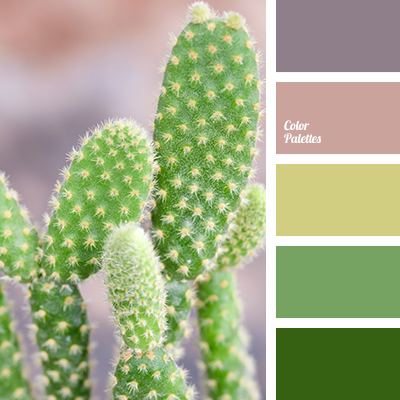 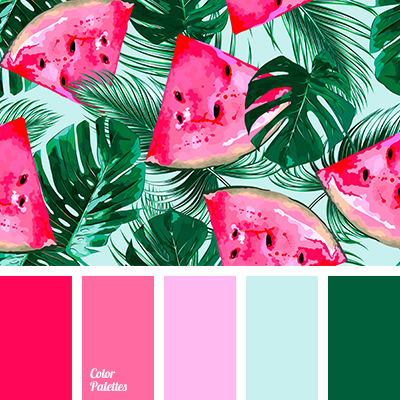 color palette for wedding, colorful color solution for wedding, colors for wedding, crimson, fuchsia color, green, pale pink, shades of pink, violet and crimson, violet and pink, Violet Color Palettes.